You know what really grinds my gears? Movie trailers. 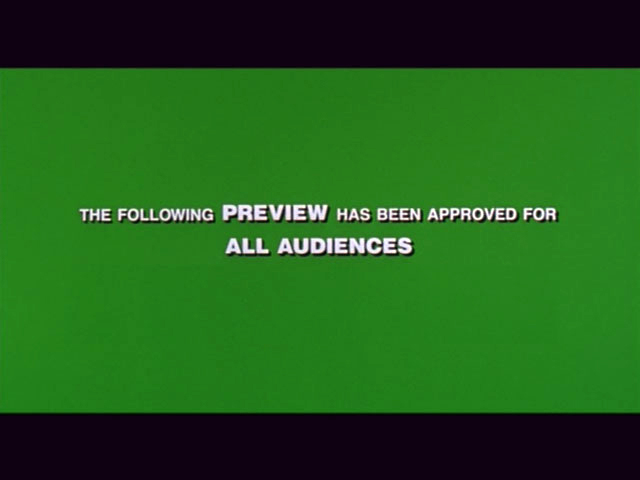 In the last twenty years, American movie trailers have evolved from throwaway material to mini-works of cinema. Heck, the trailer for Pearl Harbor is leaps and bounds better than the film. Audiences now make sure to get to the theater on time so they don’t miss the previews. But more and more, I’m noticing a disturbing trend. These previews have gotten out of control. The element of surprise is gradually being taken away. It’s time to stop, Hollywood. You’re making first viewings of films into near reruns. Enter the teaser trailer. Does anyone remember this? Without showing a single frame of footage from the film, this totally made us beg for more. I tip my hat to James Cameron for doing the right thing and preserving the scope of his art and keeping that element of surprise. The first time I saw Terminator 2 in the theater, I had no idea that Arnold was the good guy. But in the main trailer for the film, the studios give away the whole premise of the film. Please, let us be surprised! Keep us on our toes! That’s why we enjoy movies. A similar thing is happening with TV shows — the footage they present for next week’s show is often misleading and creates false expectations, cheapening the experience. So listen up, Hollywood — less is truly more. Stop giving away so much. 100% agree. Especially for thrillers and action movies. Some films that aren’t designed to appeal to the broadest audience possible may need a full two minutes and 30 seconds to break the ice, but most films should be able to, in 30 to 60 seconds, pique interest without making the entire movie utterly predictable.